The fourth quarter is here and businesses in many industries are betting on email marketing success. The holiday season presents a time of big spending by consumers and enterprise businesses. People open the checkbooks every year in the fourth quarter and businesses bet much of the entire year’s success on this time of year. Email continues to be one of the most profitable marketing campaigns for businesses in a variety of industries. Now that the holiday season is here there are some things you can do to make sure your campaigns are being optimized for this year and next. Here are five strategies to consider this holiday season. Starting in October you’re going to start seeing an incredible amount of promotions and discounts. Since 2008 it has pretty much been an all out discount fest in the retail world and even in the business world. There is a large portion of the population that is focused on getting a discount, but at the end of the day the only thing that matters is the product (or service) and the attention you can get for your brand. There might be no choice for your company when it comes to promotions and discounting. Once you get in that game it’s nearly impossible to get out and if you try your company will struggle in the short-term. My suggestion for your strategy this fall is to focus on your best products. Focus on what your customers love and what makes your company the most money. Feature those items in your emails throughout the holiday season. Change the creative and do different things with creative to get attention for your brand. 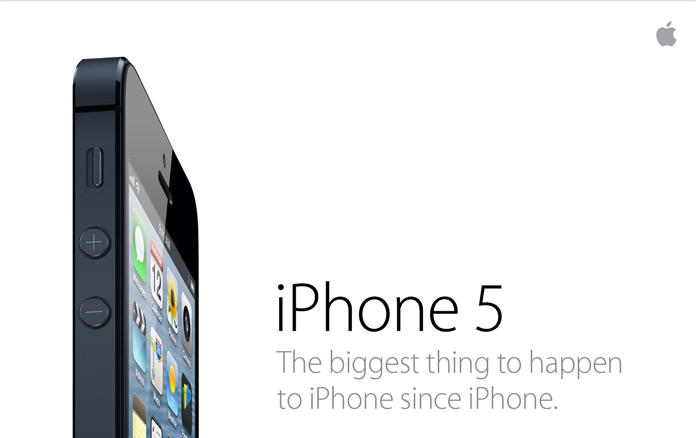 We can’t all be Apple, but the tech company never does discounting. Discounts might need to still be a part of the email strategy, but they shouldn’t be the main focus. It’s easy to forget about Halloween and Thanksgiving. This time of year is busy because there are so many holidays. What’s interesting is that people pay attention to themed emails. Get together with your creative team and come up with themed emails for each holiday this fall and winter. Create things that will stand out. Do something a little crazy so your subscribers are talking about it. This strategy can get your more attention and pay off in the long run better than even a discounting strategy. 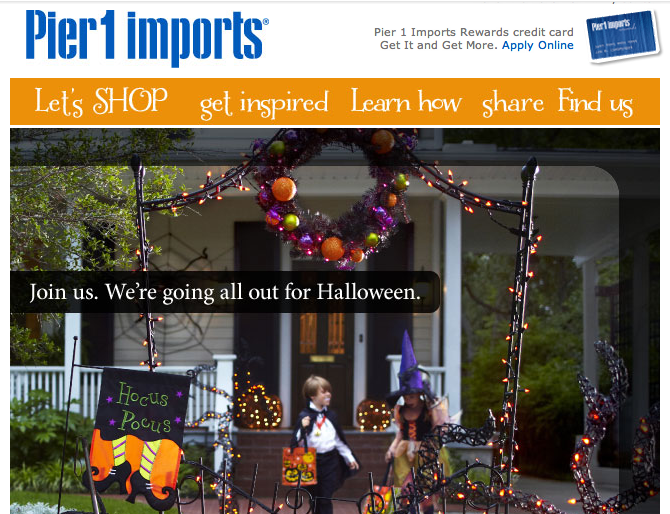 The Halloween emails were starting six weeks early at Pier 1. You can send out emails a few days or a week ahead of each holiday and on the holidays. People will be looking for themed emails and they do respond if things are interesting. Many companies will go to higher email frequency during the holiday season. They’ll send out special emails for each of the holidays and maybe even do twelve days of Christmas string of emails. Tread carefully with frequency. It’s better to ease into more emails during this time. People aren’t ready for a big change in your frequency. If you send out one email every week it wouldn’t be wise to send out one every day. 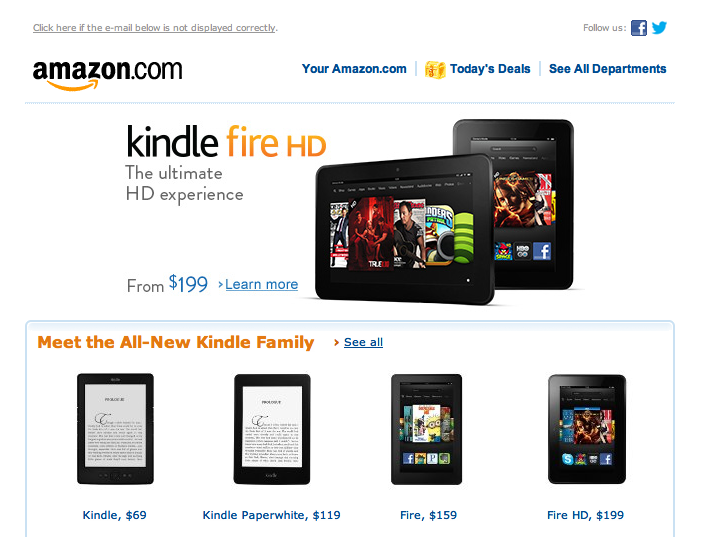 It seems like Amazon has been gradually stepping up its emails lately. Ease into more emails because it can lead to more sales in the holiday season, but make it like two or three each week instead of every day. There is no need for a drastic change to your strategy. People will start unsubscribing and marking you as spam. The biggest metric you should follow this year is sales. You’re looking at all the elements of opens, clicks, etc., but you can’t take those metrics to the bank. Focus on the sales you’re getting this time of year, but also run some different kind of tests. 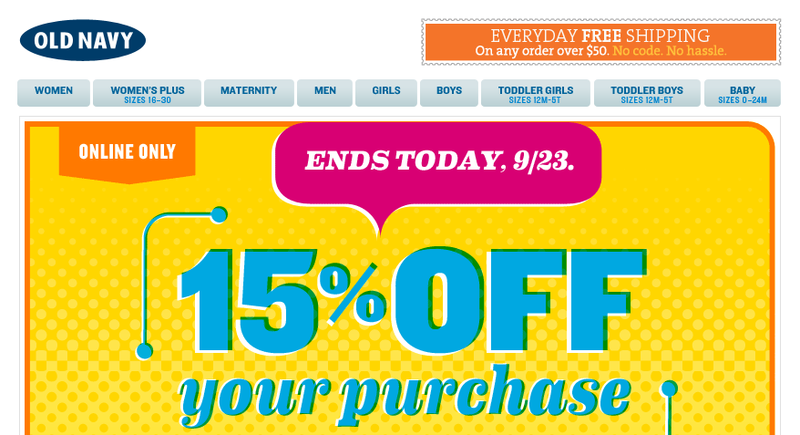 It seems like Old Navy tested discounting and free shipping and moved to it all the time. Keep a group of people held out of your emails. Send them like one email a week. No promotions. Nothing special. Send everyone else the holiday emails. Track the results all the way into the spring season and see which is more profitable. I don’t know if the holiday group or the holdout group will be more profitable. There’s only one way to find out and the results will be very useful next year. The last point here is on testing in general. Some people shy away from testing during the holiday season. There is a fear that you can mess with a good strategy and lose sales. I can buy this fear, but there is no way to learn if you’re not trying something different. You might miss out on some sales this year by trying a crazy test, but how will you ever know the result if you don’t try? Maybe the result will turn up nothing or maybe it will lead to a strategy change next year that will result in more revenue. 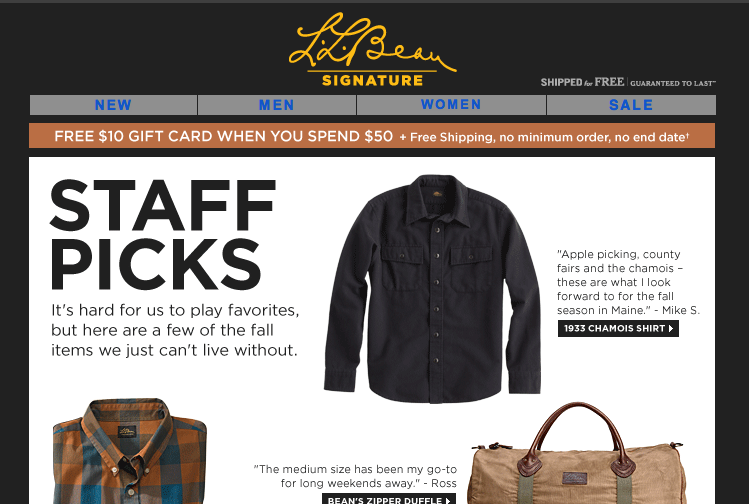 Try something different like staff picks just as LL Bean Signature did. This holiday season is important, but business is a long-term situation.